It is probably symptomatic of where this Government is at the moment that the Prime Minister saw fit to get in on the announcement of a mere 18 new houses going on the market this week. It is also a clear sign that the KiwiBuild initiative, aimed at providing 100,000 new affordable homes over a 10-year period, remains a key plank of this Government's policies. Jacinda Ardern must have been very keen indeed to attach herself to something positive after the struggles her Government has experienced in recent days. In doing so, it reaffirms that the Government is putting huge pressure on itself to create traction with the KiwiBuild programme. There's a 'feelgood factor' about getting young Kiwis into their own homes that would, if accomplished on a large scale, help to put a much more positive spin on what this Government is doing and achieving. This is a Government that's become very big on symbolic gestures. The opening on Monday of the ballot for the first 18 KiwiBuild houses is another such gesture. But in reality it means very little if the Government can't follow through. It's been reasonably clear that in the close to a year the Government's now been in operation, getting KiwiBuild up and running has been harder than it appeared it would be when viewed from the opposition benches. But Housing and Urban Development Minister Phil Twyford does appear to be unflinchingly positive in his attitude. Probably the short term key to how much traction KiwiBuild is getting and can get will come from Twyford's next announcement later this week, which will involve the 'buying off the plans' scheme. This may be less symbolic than the first 18 houses, but more meaningful. Of the 1,000 houses Twyford has targeted for completion in the year to June next year about 800 have been pencilled in as coming from the buying off the plans scheme - which despite the title is really more about the taxpayer underwriting the development of houses and offering a guaranteed price. In a sense you could say there's an element of 'cheating' about the scheme, since it effectively involves potentially a simple re-badging of housing developments that might have been planned anyway. The key to all this really is the ability of the Government to generate house building activity that will be over and above activity that would have taken place anyway. That means we need to see meaningful increases in the level of overall activity. In a construction sector that already seems to be running close to its current capacity, that's going to be challenging. If KiwiBuild becomes all about replacing existing activity with re-badged 'KiwiBuild' houses then it will lose credibility and the big doubts will set in about whether it can make a difference. And keeping credibility and momentum is going to be important, as is managing expectations. I for one will be most interested to see what the reaction is come the announcement of the 'winners' of the first 18 houses on October 5. How many 'losers' will there be and how discouraging is it likely to be for those who did not succeed? That's where the Government's going to need to get beyond the symbolism and show that there really are going to be lot of these houses, and soon. What it doesn't want is for the young, who have been given hope by KiwiBuild, to get disheartened. Young Kiwis could, as they have in the past, start voting with their feet. Well, ironically that would help the short-term squeeze on the housing market, but it hardly looks like a country building - in the philosophical sense - for the future. An important factor in the success or otherwise of KiwiBuild was always going to be the attitude of the banks. So, far this looks pretty encouraging indeed, with some jockeying going on to offer the sweetest deal. The interesting thing is, of course, that the banks have a free run at this business. As new-builds, the KiwiBuild houses are exempt (or should be in most circumstances) from the Reserve Bank's rules around lending on high loan to value ratios - hence the willingness of banks to already talk about 90% and 95% mortgages. As I have opined previously, the potential large scope of KiwiBuild lending by the banks could in future pose an interesting challenge for the RBNZ from a financial stability perspective. New Zealanders are already in historical terms heavily geared when it comes to housing commitments. The Reserve Bank's key household financial statistics show that as of the June quarter this year our households' financial liabilities equated to 126% of household disposable income - that's a record. If you add in rental properties owned by households as well, this figure increases to 166%, which is also a record high, although it's been at that level for several quarters now. These are not figures that you would want to see increasing - but with more young people clambering in to possibly 90% and 95% mortgages, they may well increase. Which is a worry. However, a more encouraging slant can be put on these figures if we look at the actual debt servicing costs. These show that annual interest costs as a percentage of household disposable income are running at 8.3% of disposable income. We have to go back to the year 2000 to find a lower figure. If we go back 10 years the interest costs were running at 13.8% of disposable income. Ouch. So, with the RBNZ having said it now expects interest rates to stay lower for longer (with maybe even another cut to official rates possible), then even fairly eye-watering levels of debt can be countenanced. But we really wouldn't want to see some sort of external shock that suddenly pumps those rates up, because the pain would start to mount quite quickly. I remain very concerned about the idea that KiwiBuild is going to encourage young people to take on very large quantities of debt. It's going to be a question of crossing fingers for a few years and hoping there isn't an interest rate shock and then over time of course the LVR levels on those KiwiBuild properties are going to get to more comfortable levels. 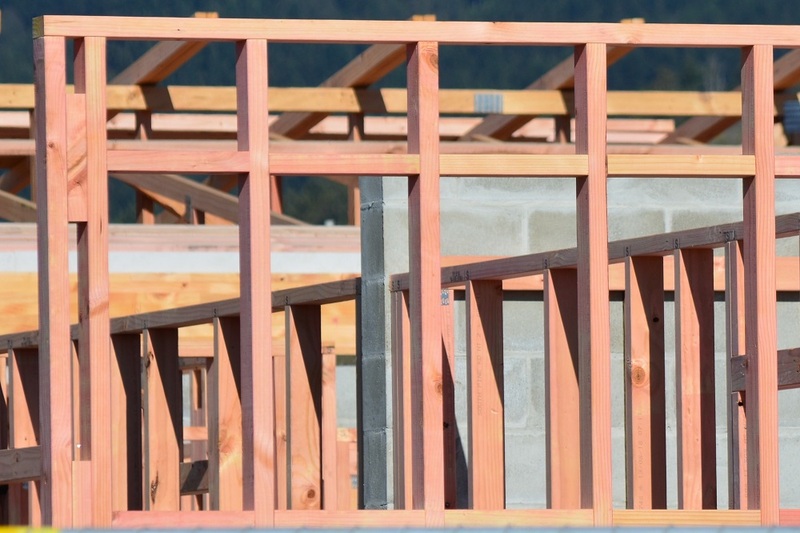 For the Government, it's got no real option but to plough on and see if it can generate the sort of momentum that will give KiwiBuild credibility. Obviously if some genuine momentum can be established between now and 2020 then pictures of smiling young people settling into their first homes - courtesy of the Government - is going to be a very good look on the election campaign trail. KiwiBuild was always a high-stake game for this Government. Given the way some other developments have gone for this administration, the stakes just got even higher. It's often said, only half-jokingly, that our economy is all about the houses. Well, I think we can definitely say the same about this Government too. Increasingly so. It's also about the values and identity each generation holds getting more and more decadent and less disciplined. Today's generations are soft and haven't experienced a tough life. They don't value what our ancestors have fought for. It's even worse now with escapism like television easily accessible. Indeed, thus we get these weird paradigms where investing in education so people can start off in a job without a large debt is seen as horrible nasty election bribes, while spending over 60% of our social welfare budget on a universal basic income for over 65s regardless of need is seen as an 'entitlement'. Housing Corp, universal family benefit, free education...and now people claim it's today's new generations who are the ones after a hand-out and an easy road. I've never seen the fundamental discord between boomer rhetoric and reality so neatly outlined. "Divide and rule!" said the banker. "Keep the populace argueing amongst themselves and all is well down on the debt farm. I hear it's quite pleasant down there at this time of year." KB yeah right ! Rebranded existing new stock if the COL are going to rely on the success of KB their toast !!!!! As for The CoL, if they knew what they were doing it would be a fine thing. Don't hold your breath. Headline: "As the Government inherits one crisis after another"
What get's me is the lack of innovation. Too much detail around meaningless and stagnant processes and very little in place to ensure good outcomes and address bad outcomes. Scrap BRANZ, open up the building code to international products and best practices. Get councils out of the consenting/inspection business. Make the industry based around mandatory insurance and hard accountability when things go wrong. If a builder engages in malpractice they should lose their license and indemnity insurance. If BRANZ, Master Builders, Fletchers and Councils are squealing then you know it's being done right. The party that does this, will be the first party that actually does something meaningful in reducing home prices. .... ye gads , so much for progress ..... back to the middle of the 20'th century if you want to own a house in Godzone ... SHAG !!!! The elephant in the room is the difficulty for developers to source funding, especially when trying to fit their feasibilities under an arbitrary cap such as the $650k 3 brm limit. Mr Twyford should be focused on that issue.